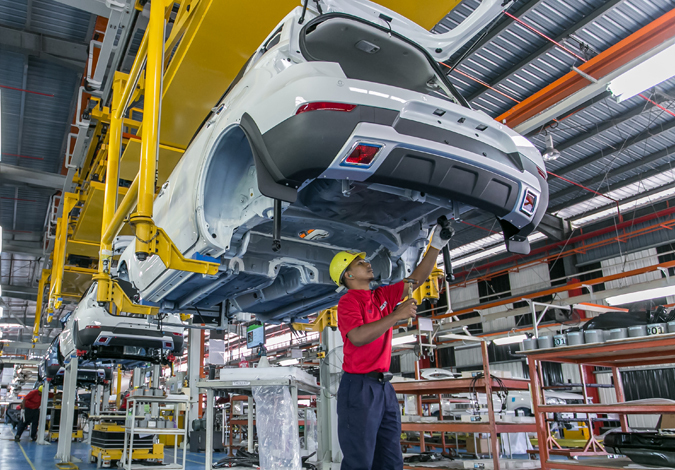 Upon receiving the first Energy Efficient Vehicle ( EEV ) manufacturing license from MITI, Go Automobile Manufacturing Sdn Bhd commenced with the production of Haval H1 ( earlier known as GMW M4 ). Go Auto is capable of handling the vehicle’s development from styling stage until mass production. The know-how in designing the factory with lean and flexible condition, with the built-in quality processes is an asset that is embedded in the production and engineering team. The first phase RM 50 million plant, proudly and fully owned by Malaysian, Go Automobile Manufacturing is able to produce 25,000 car units per year at the factory located in Gurun, Kedah. The plant covering an area of 5.2ha is expected to double its production to 50,000 by 2020, and it would be the catalyst to strengthen the company’s research and development for future models. The huge land comprises an area of 23,000m², allotting a capacity that’s wide enough to incorporate production facilities such as trim stations, chassis hangers, speedometer testers, suspension testers, painting booths and so on. Go Auto applies the “factory-in-factory” concept, which is exercised by many leading car industries in the world. The factory-in-factory concept allows six suppliers to provide different car components in a single assembly line without reducing the rate of productivity. Go Auto hopes to lead these suppliers towards advancement, where they will be able to escalate themselves to the status of Original Equipment Manufacturers (OEM) in time to come. Participating suppliers are Milan Utama Sdn Bhd, KPNK Automotive Industries Sdn Bhd, Permintex Automotive Sdn Bhd, Beyond Milestone Sdn Bhd, Sapura Automotive Industries Sdn Bhd and Green Nature Oasis Sdn Bhd. Go Auto is the exclusive distributor and manufacturer for GWM, Haval and GAC motor for SUV and passenger vehicles. 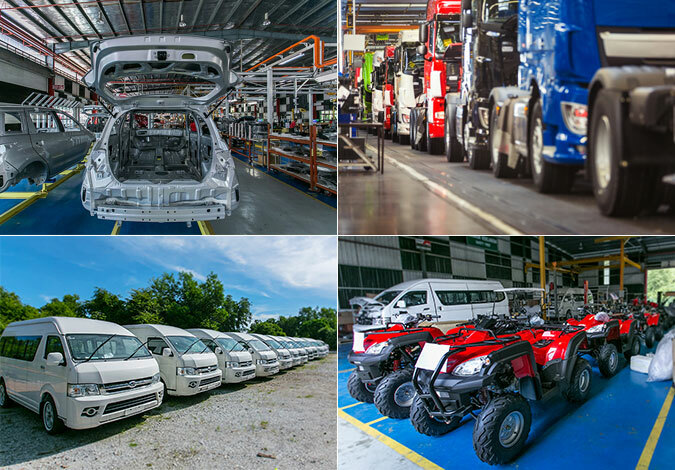 Go Auto also exports 40% of their production to ASEAN countries such as Cambodia, Brunei and Indonesia. Becoming a contract assembler has allowed Go Auto to assemble for other automotive brands from China. This enables them to assemble commercial and passenger vehicles namely buses, trucks, cars and motorcycles. Currently Go Auto assembles the Dong Feng tipper trucks for the local distributor, 13-seater vans, mid-size vehicles and Jinbei light trucks which are customized to be used as food trucks. With the introduction of Haval H1 ( earlier named as GWM M4 ) followed by Haval H2 in the EEV segment , Go Auto is embarking their business upon Electric Mobility. To further strengthen the ecosystem in Green Mobility, Go Auto has technical collaboration in developing the facilities of Research and Development for EV system components and production facilities including communication controlling systems – the Telematics. All components will be developed by the Go Auto vendors under the vendor development program (VDP) organized by the Ministry of International Trade and Industry (MITI). Through the program, Go Auto will create many new vendors to manufacture and supply the EV components, and create more jobs in the Green Mobility as projected in the STRIKE program. Despite being a technocrat corporation, Go Auto takes the responsibility to enhance the human capital development by partnering with the Kuala Lumpur University (UniKL) and Universiti Malaysia Perlis (UniMAP). 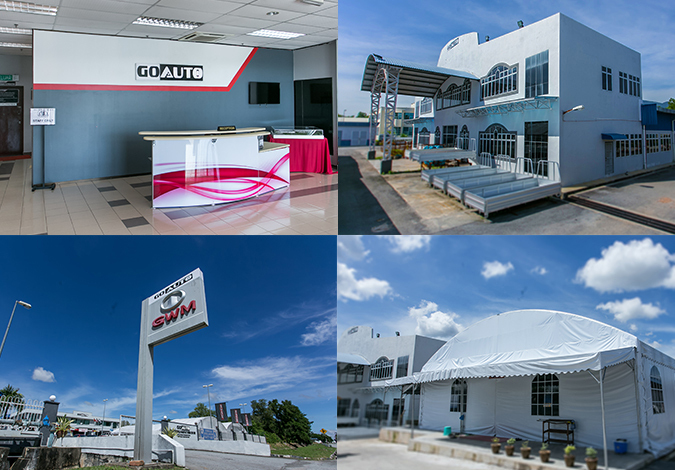 Via this synergy with the highly renowned and reputable academic institutions, Go Auto organizes a “teaching factory” exclusively for students of UniKL and UniMAP, where a few qualified students will be chosen for practical training at Go Auto. Go Auto considers education to be highly important, at the same time, to support the industry developing students ready for the market. Students will gain knowledge from experience that can never be found in textbooks. Therefore, chosen participants are guaranteed to learn something new from this “teaching factory” and they may also gain the opportunity to work with Go Auto in the future.